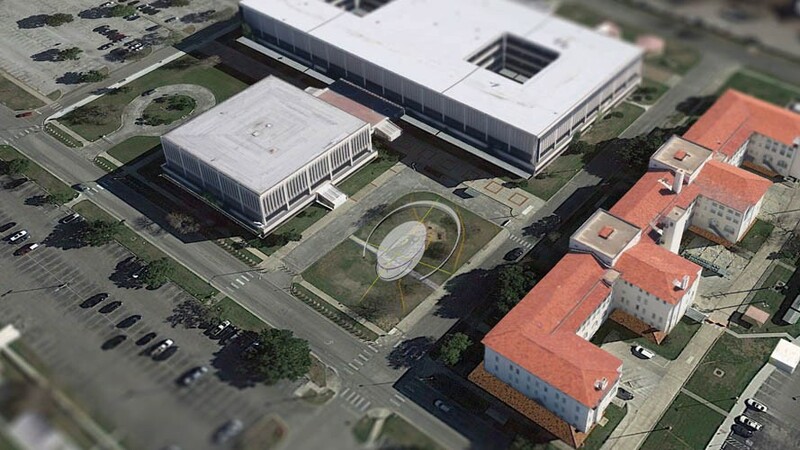 Early stage visualization / study for a pavilion in the Spurgeon Neal Memorial DUSTOFF Plaza at Ft. Sam Houston. 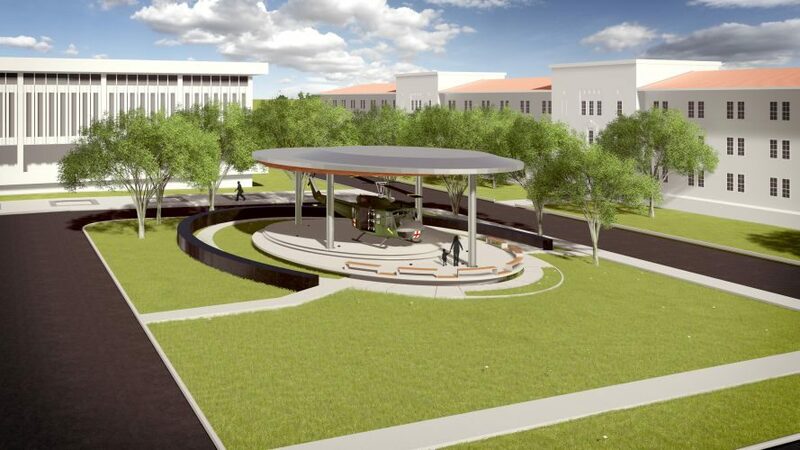 Computer rendering overview of the master plan for the Memorial DUSTOFF Plaza at Fort Sam Houston, San Antonio, Texas. 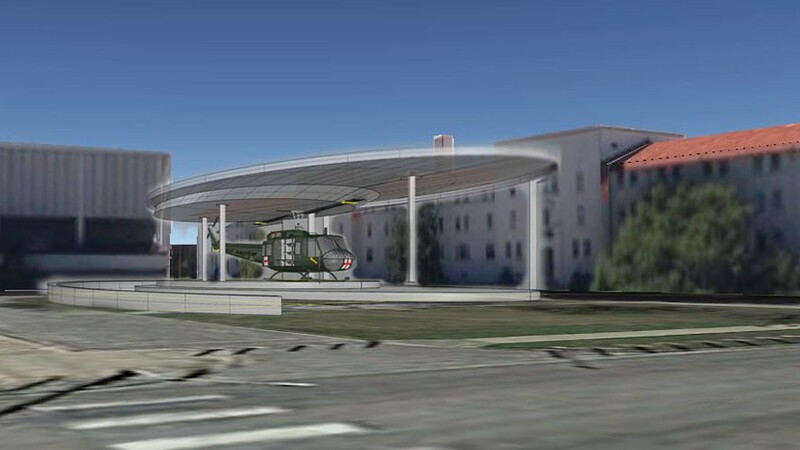 Computer rendering of our concept for the pavilion to protect the Bell UH-1N helicopter. 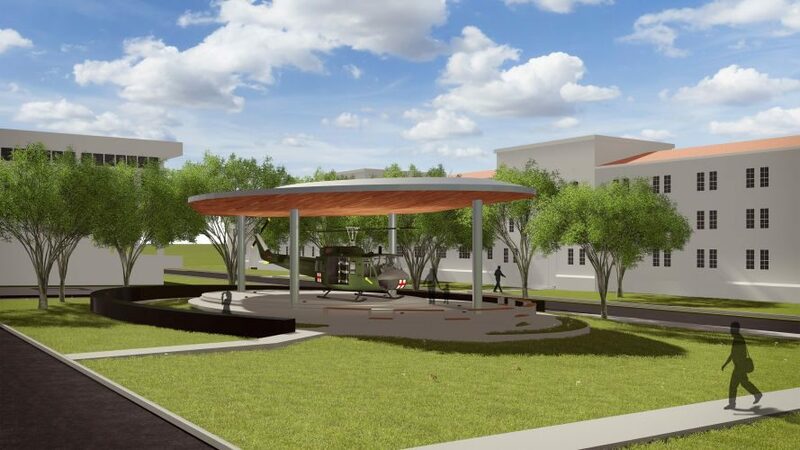 Detailed computer rendering of concept for the memorial pavilion. 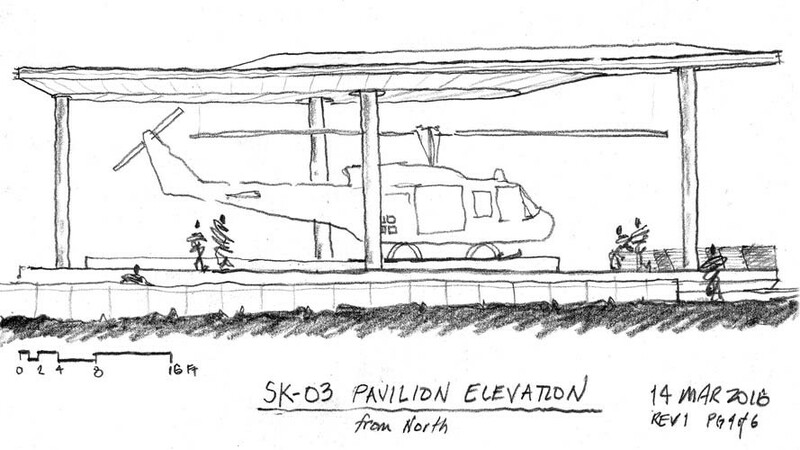 Perspective hand sketch of the proposed pavilion which will be the centerpiece for a memorial wall to killed-in-action DUSTOFF personnel. 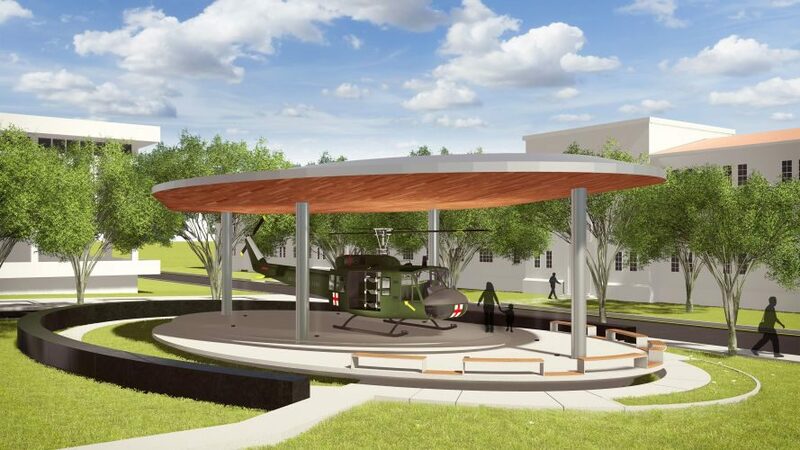 Pavilion to protect the Bell UH-1N helicopter, an existing memorial to the Vietnam era DUSTOFF Veterans. 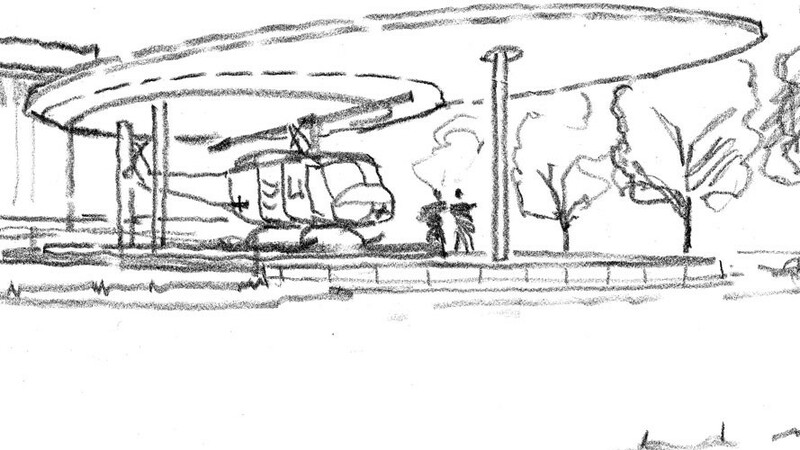 An early draft computer rendering of our concept for the pavilion to protect the Bell UH-1N helicopter. Go to the fundraising link HERE to contribute.